Do you want to make money blogging? If you do - you’re not alone. More and more bloggers are finding that blogging is a profitable medium. Whether it be to earn a few extra dollars a week to feed their coffee habit, or making enough money to stop them having to get a part time job to get through college, or whether they’ve got it to a point where they are able to make a full time living from their blogging - there are tens of thousands of bloggers making money from blogging. In this page I want to share some information for beginners on making money from their blogs. I will start by sharing my own top Money Making Methods (updated regularly) but below that point you to some great resources and teaching on how to increase your income from blogging. What follows is a quick summary of my main income streams from blogging. Before you read it though - keep in mind that every blog is unique in how it can make money. Some of the following income streams will work on some blogs a lot better than others - the key is to experiment with as many as possible and see what works best for you. 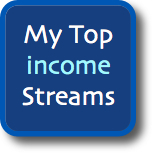 The following income streams (from a number of blogs) have helped me to earn a six figure income each year for the last three years from blogging. I’ve ranked them from highest to lowest. Despite not using it here at ProBlogger any more (here’s why) I continue to use AdSense with amazing effect on my other blogs. I have them all set to show image and text based ads and find that 250×300 pixel ads work best (usually with a blended design). I don’t have much luck with their ‘referrals’ program but their normal ads work a treat and continue to be the biggest earner for me. Chitka continues to be a great performer for me on my blogs. They work best on product related blogs although their recent announcement of their Premium ad unit is exciting as they now offer ads with a non product focus that I’m hearing great conversions on (I have one reader who is getting $28 CPM on this ad unit).Chitika offers a range of ad units that I experiment with. I find their eMiniMalls work best and that Related Product Units are also good. Their Shoplincs product isn’t performing as well as it once did for me - mainly because I’ve been promoting it less and have driven less traffic to it. Over the time I’ve been using Chitika they’ve now earned me over a quarter of a million dollars - I can’t recommend them enough! Private ad sales directly to advertisers have continued to grow over the last few months and as a result they’re now my third highest income stream. I expect them to overtake both Chitika and AdSense in the coming months. This includes ad sales of the 125 x 125 ads here at ProBlogger as well as a campaign or two at Digital Photography School. Amazon’s affiliate program has been one of my big movers in the last 12 months. I used to make a few odd dollars from it - however in recent times it has become a significant earner for me (as I’ve shared previously). This quarter it grew even more than previously as a result of continued growth of DPS where I recommend books, software and cameras. I run a variety of affiliate programs on my blogs - most of which bring in smaller amounts of money that don’t really justify a category of their own. These include - - Digital Photography Secrets (a camera technique series), Pro Photo Secrets (a great photoshop product) , Yaro’s Blog Mastermind Mentoring Program (about to open the doors again), SEO Book (Aaron’s legendary resource) and the excellent Teaching Sells course (which just continues to grow in what it offers to it’s members in terms of content). As I wrote recently - Shopzilla has really impressed me with how it’s performed over the last few weeks. It’s actually doing well enough to debut in this list at #6. The ads are similar to Chitika but the click values have been higher for me to this point. They don’t offer quite as many options as Chitika does in terms of types of ads but for a new ad network there’s definitely promising signs. I’m looking forward to seeing how they continue to develop! The job boards here at ProBlogger continue to grow each month in the number of advertisements that are being bought. This enabled me to invest most of the money that they’d earned a while back into getting a new back end for the boards and to redesign them. It hit me today that the boards are now bringing in around $1000 a month in revenue which is pretty nice considering that they are so low maintenance to run. They also offer a service to readers and add value to the overall blog. Another newcomer to this list is WidgetBucks - another ad network that ProBlogger readers will be familiar with. WidgetBucks is similar to Chitika and Shopzilla in many respects and works well on product related sites. It does best on sites with US traffic (the reason I’ve not used it as much as I get a lot of international traffic) so if you have a product related site with a US audience it’d be a no brainer to try out WidgetBucks. I’m hoping they’ll continue to expand their offerings in terms of ad types and visitor location. I also play with a number of other ad networks. Some I run as tests to see if I should review them here - and some are just advertising that run in the background on some of my smaller blogs. These include ShoppingAds, Feedburner RSS ads, Vizu (a poll advertising system), Kontera and Bidvertiser. Together these don’t add up to major earnings for me - not because they are not good, but because I don’t use them heavily (a blog can only run so many ads on it). A lot has been written on the topic of making money online from blogs. There is a lot of wonderful information out there - but also a lot of hype and sometimes dangerous information.